How many guys who redshirted as college freshmen went on to play 12 seasons in the NBA? Cardinal did, although the 456 games in which he actually played amounted to about 4 ½ full seasons. He was in and out of the league at first, and barely hanging on for awhile, but landed a major contract from Memphis General Manager Jerry West and wound up contributing to an NBA championship team in Dallas near the end of it. He’s the owner of one of the most amazing stats in NBA history. In the 2010-11 season, when the Mavericks went on to win the championship, he hit 43 field goals for the season. All but one of them was a three-pointer – the lone exception being a layup off a steal. Even without all that, he’d have a great story to tell, so it’s no wonder it took two episodes to get it all in. He grew up in Illinois, near the University of Illinois campus, where his father was the head trainer for the basketball program. He wanted to go there, but they didn’t offer a scholarship. 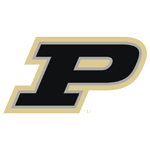 They didn’t think he was athletic enough, or skilled enough, or whatever, so he settled for a scholarship to Purdue. He felt so humiliated in the pre-season scrimmages with his future teammates that he begged coach Gene Keady to redshirt. I remember talking with him in the Mackey Arena hallway in the fall his first year on campus and discussing the advantages of redshirting. I’m not taking credit for convincing him, but hopefully it helped reinforce the concept. A lot of college players would be wise to redshirt. It’s certainly worked out well for most of the ones who did it at Purdue. His willingness to do it reflects his humble nature and insight, because most recruits think they’re better than they are. 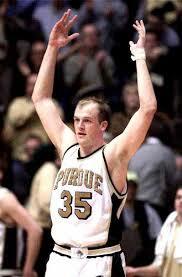 He went on to become a four-year starter and one of the most popular players in Purdue history because of his hustle. He was on the floor so often in search of loose balls that he was nicknamed The Custodian, because he mopped it with his knee pads. He was called Citizen Pain, too, because of the aggressive style of play that left him with cuts and bruises. Most of the pain, however, was felt in Champaign, because he never lost to Illinois in eight games. It amounted to eight agonizing reminders of what the Illini could have had for the asking. Nobody would have predicted a 12-year NBA career, but hustle and shooting can take you far. He’s remained humble throughout, and returned to Purdue to work for the John Purdue Club after his retirement. He had unlikely careers in both college and the NBA, and was a fan favorite everywhere he played. Listen to these episodes and you’ll understand why.